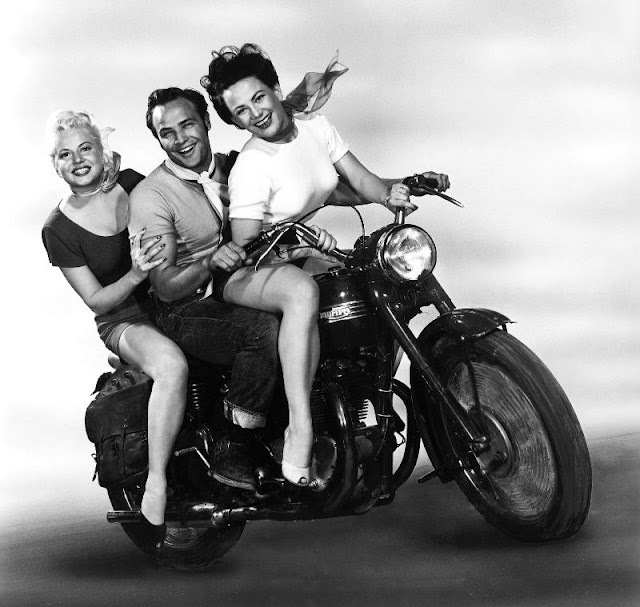 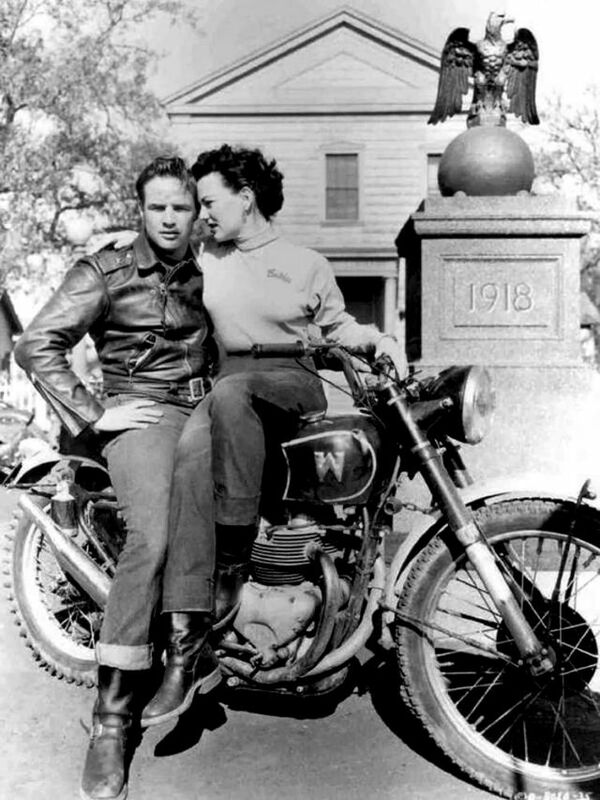 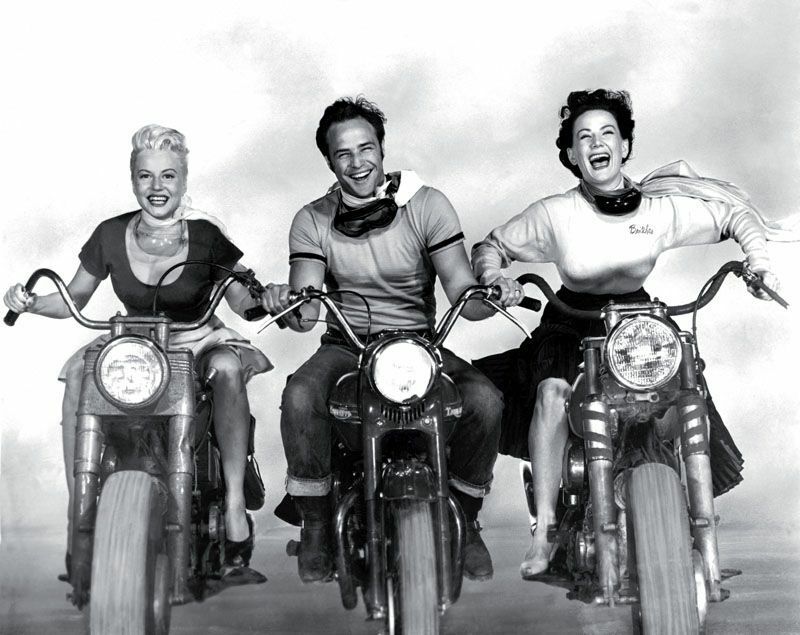 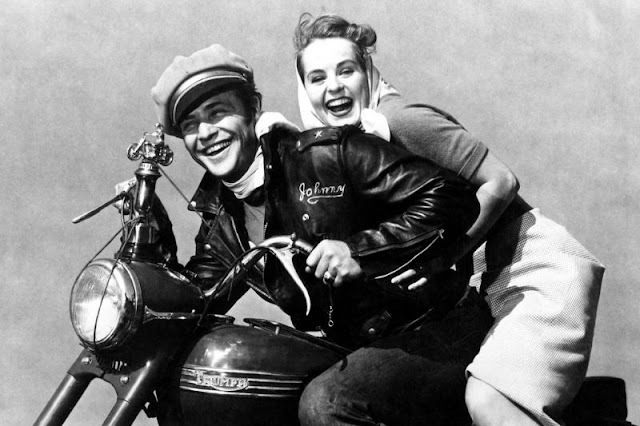 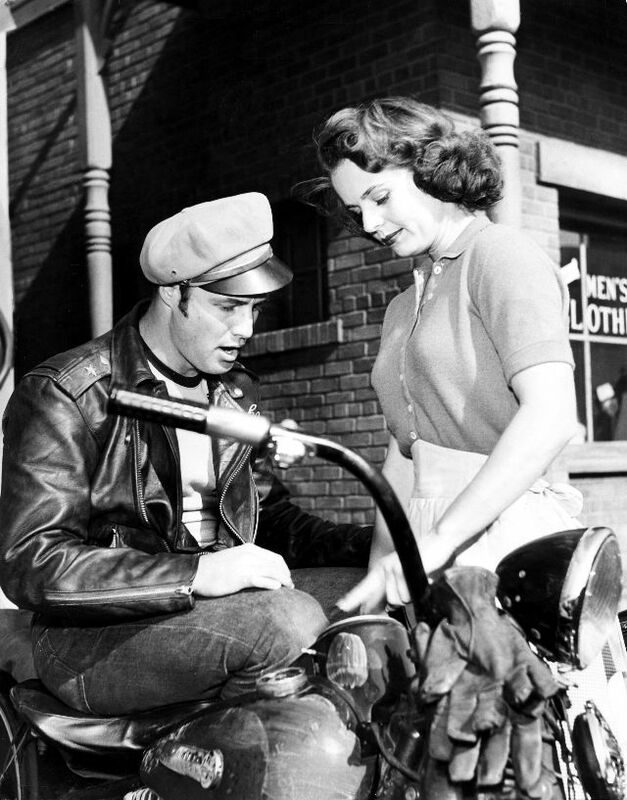 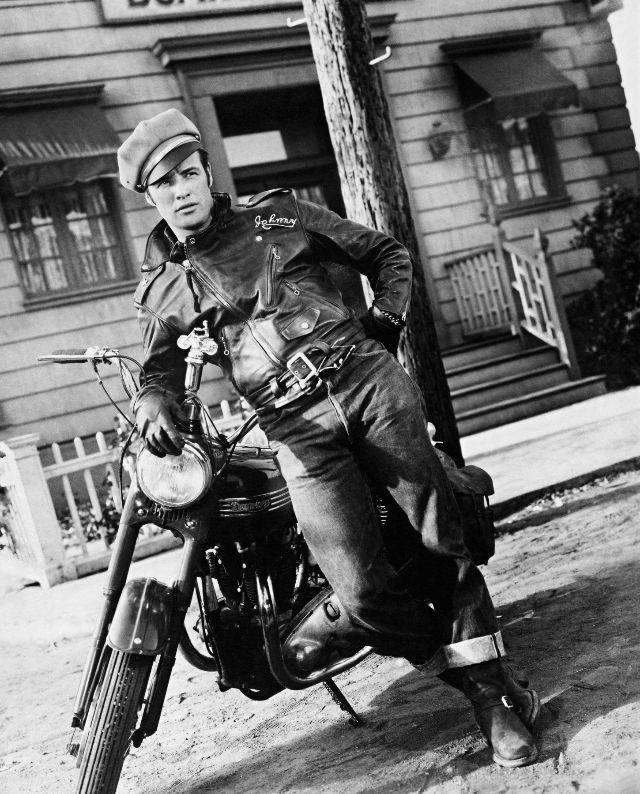 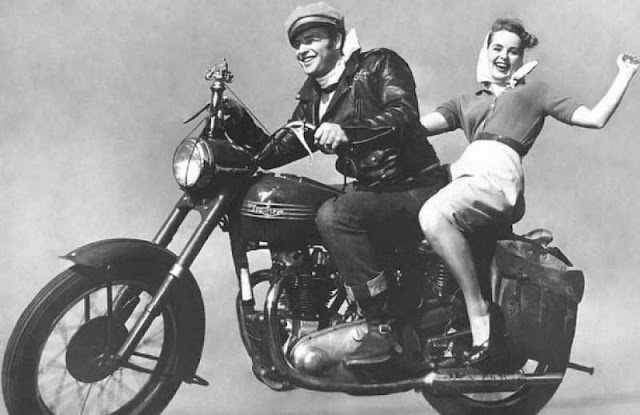 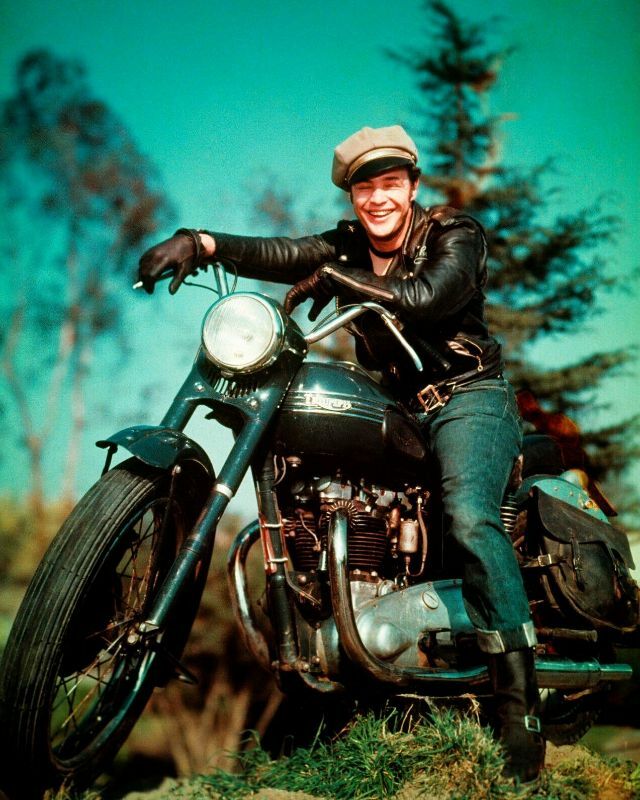 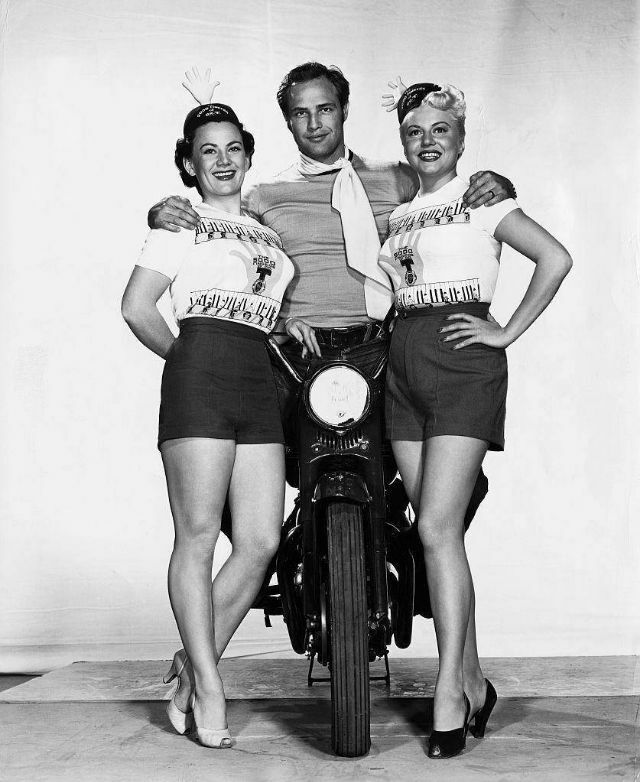 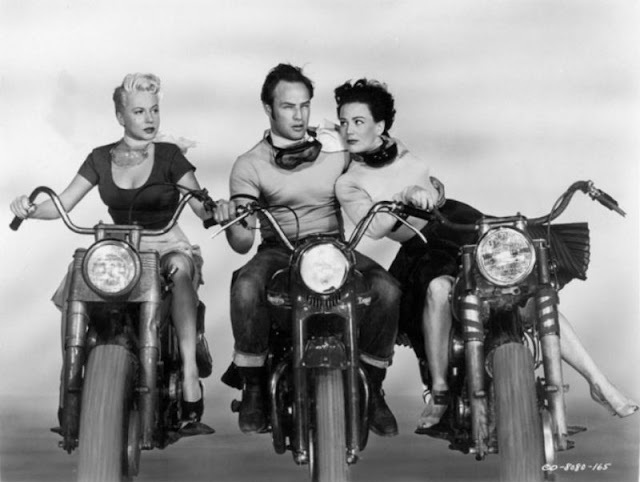 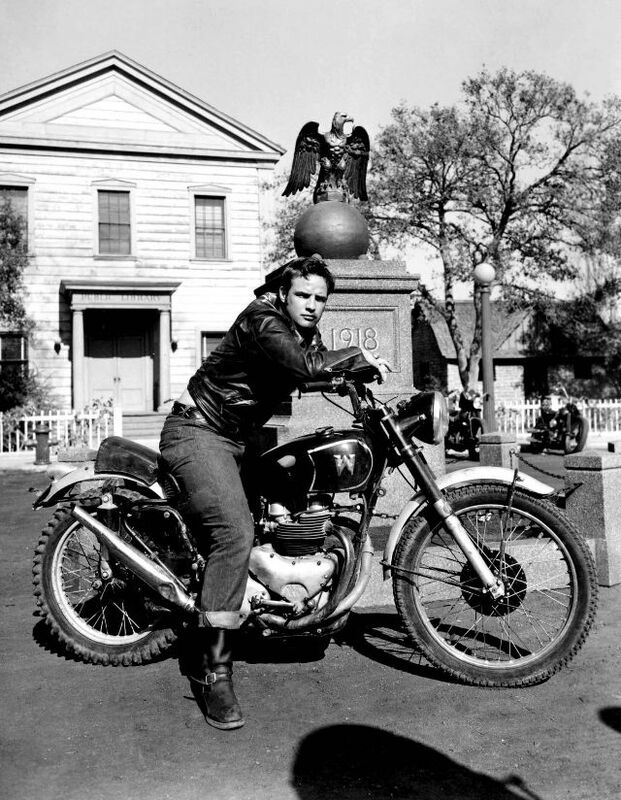 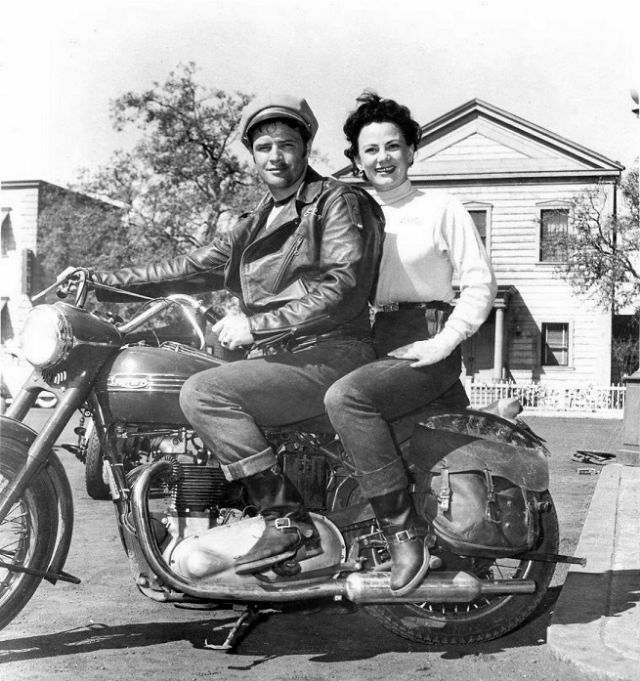 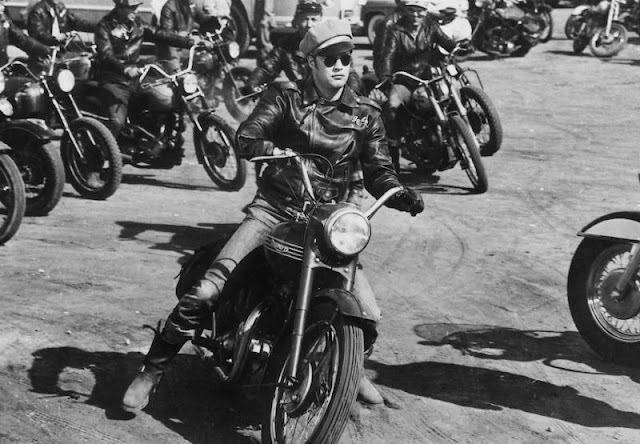 Arguably the biggest boost for Triumph motorcycles came from Marlon Brando’s 1954 movie “The Wild One.” Riding his own 1950 Thunderbird, Brando played Johnny, leader of the Black Rebels MC in the film that arguably started the biker-flick genre. 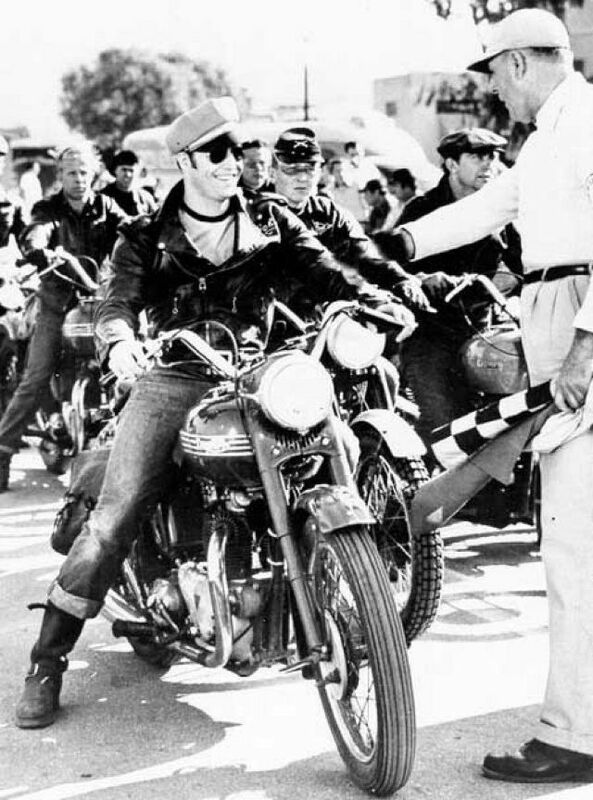 It’s hard to believe that this film sparked so much controversy (it was officially banned in the U.K. for fourteen years) on its release: the outlaw bikers that invade a small California town exhibit a level of criminal behavior that now seems almost quaint. 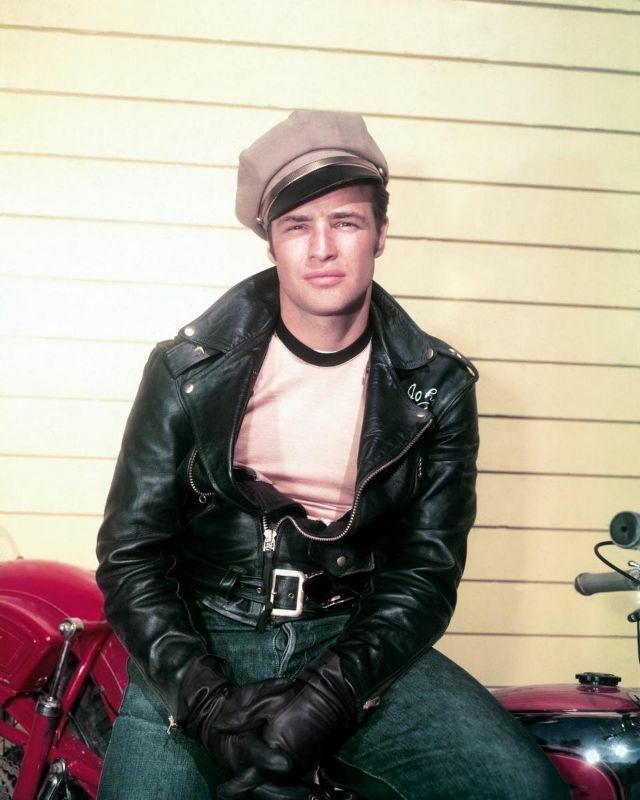 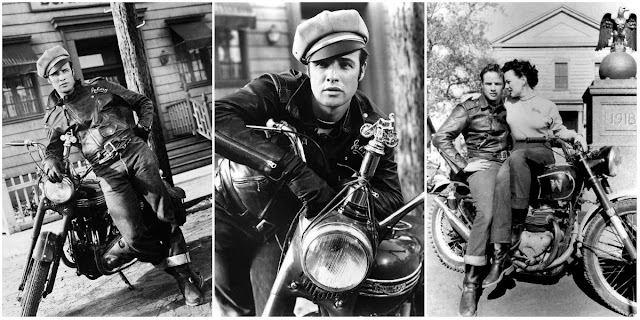 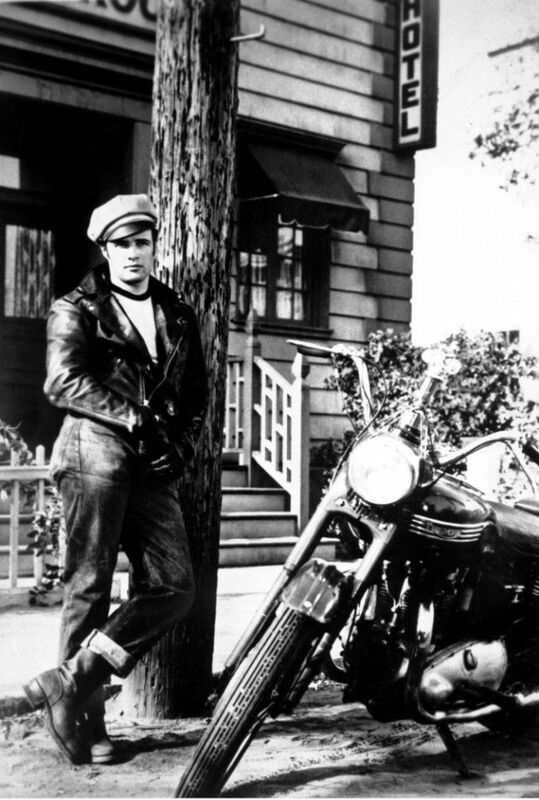 What’s much easier to understand is how a leather-clad young Marlon Brando and his motorcycle — a sexually charged image of youthful restlessness rebellion — became an enduring part of film history. 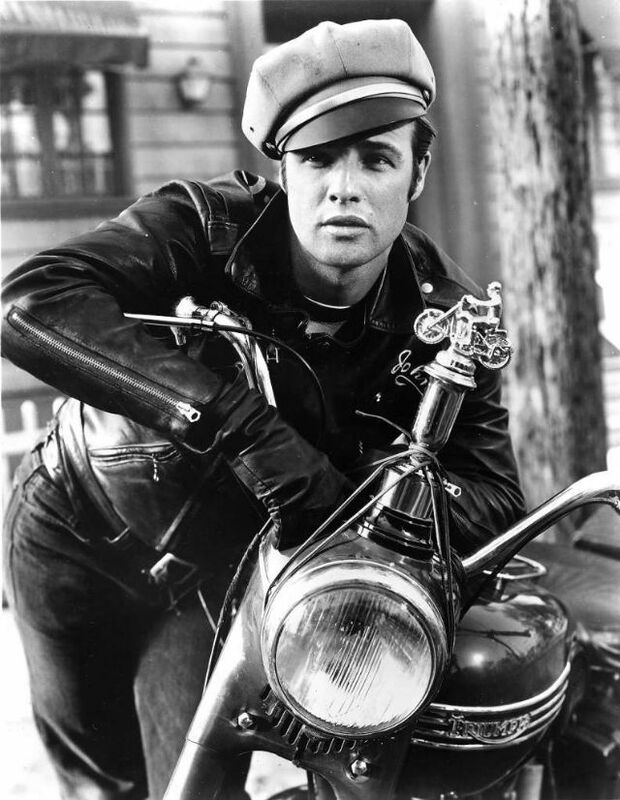 Seriously, has any other American film actor shown so much out-of-the-gate brilliance as Marlon Brando? 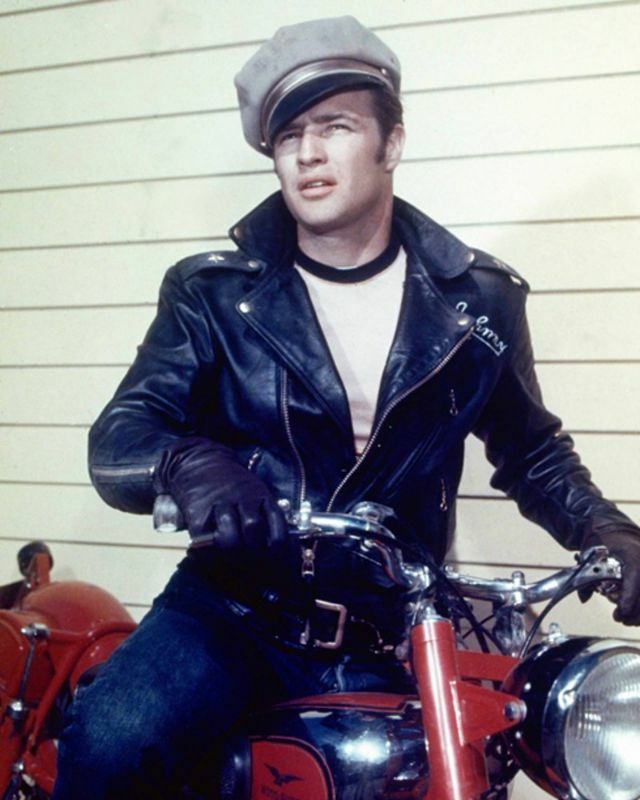 Having turned in electrifying performances in A Streetcar Named Desire, Viva Zapata!, and Julius Caesar, Brando give his biker-gang leader Johnny Strabler a soulful menace that radiates off the screen.